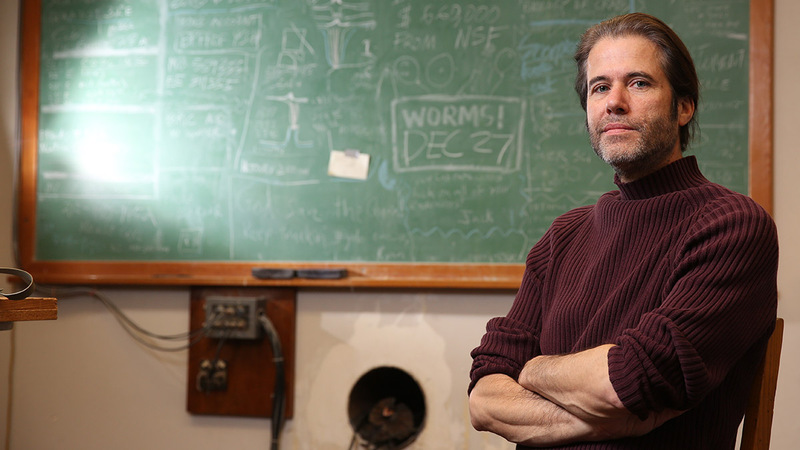 Had UO scientist Robert Schofield kept working at 4 a.m. last Sept. 14, physicists might not yet be hailing the detection of a gravitational wave triggered in the last second of two colliding black holes a billion light years away. 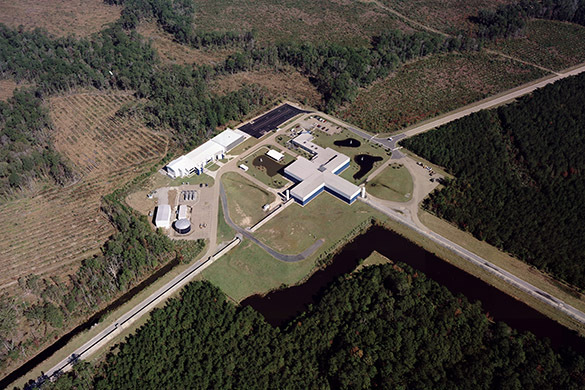 Schofield was at LIGO’s site in Livingston, Louisiana, working with Anamaria Effler, a scientist based there. They’d put in a long day injecting noises from Earth-bound environmental sources to analyze their effects on the sensitive detectors. Rather than shut down the detectors to begin another test, Schofield and Effler chose to leave them operating and get some sleep. Just 51 minutes later, a gravitational wave — an event predicted 100 years ago in Albert Einstein’s general theory of relativity — arrived. 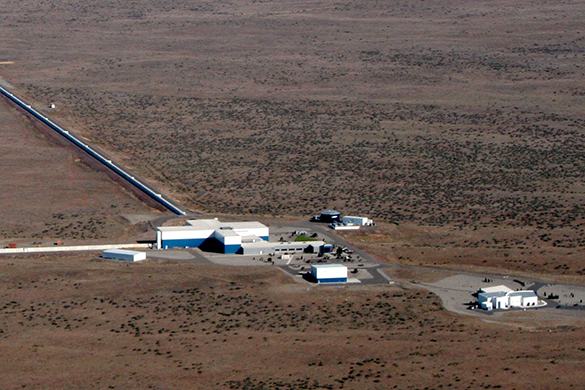 The wave, which scientists have labeled GW150914, was recorded almost simultaneously at LIGO’s twin site, 1,864 miles away in Hanford, Washington, where three UO graduate students were stationed. The detection came two days into LIGO’s first run after an upgrade, said Frey, head of the UO’s Department of Physics. At first, he and his colleagues thought someone was playing games with them. “It wasn’t long, though, when I think everybody realized, at the same time, that this is real, this is amazing, and we had our jaws on the ground for a while. This is the first time to see gravitational waves directly," Frey said, "This is a confirmation of a huge piece of Einstein's theory." There was an initial burst of Twitter posts and emails that suggested that a gravitational wave had been detected, but then silence followed as LIGO scientists realized that before making such a claim they needed to rule out any possibility that an earthly event had fooled them. Filtering out interference is exactly the role of the UO team. 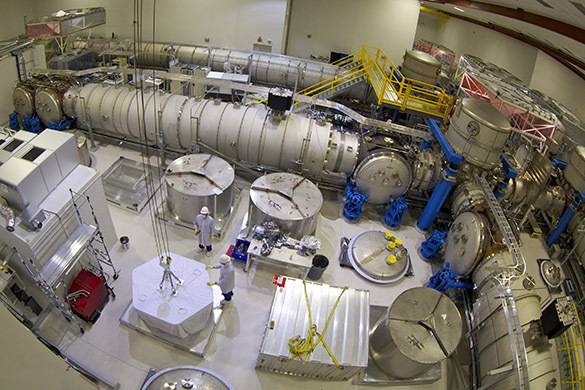 "Robert Schofield is LIGO’s go-to guy on the subject,” Frey said. The UO is responsible for environmental monitoring, which is done using a variety of specialized sensors that have been installed at the two sites under Schofield's direction. 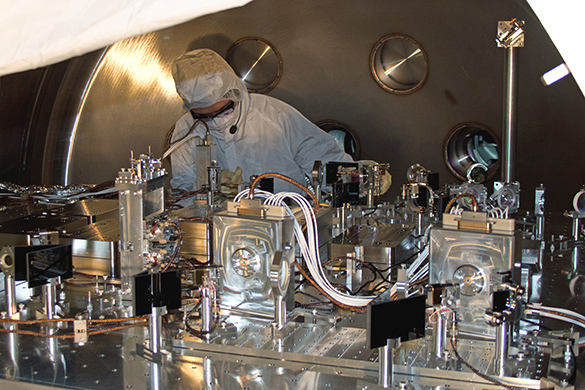 The interferometers consist of suspended mirrors, which reflect the laser beams which are used to sense tiny mirror motions — 1/10,000th the diameter of a proton — caused by the passage of a gravitational wave. While built to pick up signals from space, the devices also register other forms of disturbances triggered by earthquakes, nearby trucks on a highway, lightning strikes, explosions — even water going over a dam 18 miles away. At about the same time of the gravitational wave's arrival, Schofield said, a massive lightning burst occurred over Burkina Faso in Africa. Some LIGO collaborators worried that a resulting electromagnetic wave, rather than a gravitational wave from deep space, had been recorded. "I've spent the last 15 years learning how lightning affects the interferometers," Schofield said. "It didn't scare me at all because I knew we had sensors that could detect it and that we shouldn't expect it to affect us." Schofield's final report found no signal interference from anywhere on Earth, helping LIGO scientists to confirm Einstein's theory and open an unprecedented new window onto the cosmos. A paper detailing LIGO’s discovery has been accepted for publication in the journal Physical Review Letters. The discovery, Frey said, helps affirm the UO's strength in basic research. "This is something we try to do here. We try to balance fundamental research with more applied research. 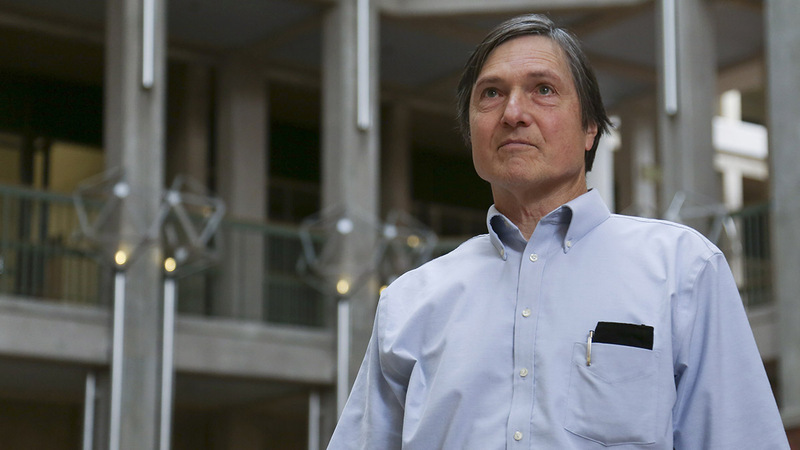 I think that balance is really crucial for the scientific enterprise." It also is a victory for experimental physics, Schofield said. "It's so incredible that we could predict this with our minds” and use technology to essentially secure the motion of the LIGO detectors to allow the recording of a subtle gravitational wave. “And that this tiny earthly motion was produced by black holes colliding in a distant galaxy." The UO's LIGO team also includes James Brau, a Phillip H. Knight Professor in the Department of Physics and former team leader, postdoctoral researcher Dipongkar Talukder and graduate students Sudarshan Karki, Ryan Quitzow-James, Jordan Palamos, Vinny Roma and Paul Schale. The UO contingent was one of the founding groups of the LIGO Scientific Collaboration, a group of more than 1,000 scientists from universities around the United States and in 14 other countries that was formed in 1997. The UO's James Brau will discuss gravitational waves in a talk titled "Einstein's Warped Universe — Riding gravity waves through Spacetime" at 6 p.m., March 23, at the Eugene Public Library, 100 W. 10th Ave. The lecture, geared for a general audience, will provide a broad overview of what gravitational waves are and the effort to detect them. The event will be held in the Bascom-Tykeson Room on the library's first floor.